(Bridgewater, N.J., Feb. 7, 2019) - The Somerset Patriots announced today the signing of New Jersey native and former Rutgers Scarlet Knight Steve Nyisztor for the 2019 season. Nyisztor enters his first season with the Somerset Patriots and first in the Atlantic League. 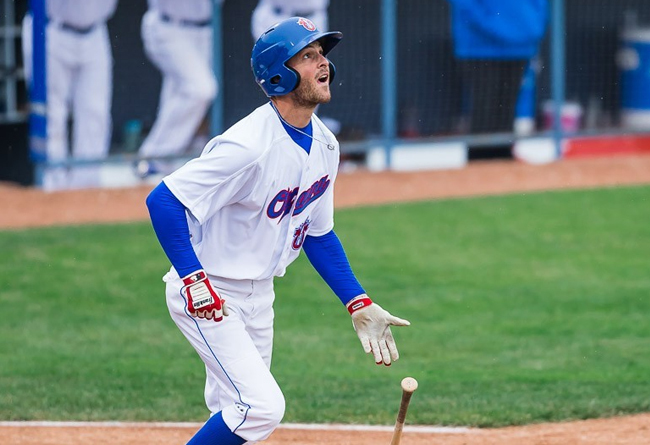 The versatile infielder has spent the first six years of his professional career in the Can-Am League, splitting time between the Rockland Boulders, Sussex County Miners and Ottawa Champions. He most recently spent the last two seasons in Ottawa, where he combined to slash .280 with six home runs, 60 RBI and 18 stolen bases over 112 games. The Toms River, New Jersey native spent the first three years of his career with the Boulders, sandwiched around a 44-game stint with Low-A Hillsboro (Arizona Diamondbacks) in 2014. He earned the 2014 opportunity in the D-Backs system after he hit a career-high .341 with a .366 on-base percentage over 40 games In Rockland. Nyisztor followed that successful campaign up by recording a career-high 54 RBI along with a .275 average with Rockland in 2015. Nyisztor has spent the majority of his time professionally at second base, though he does also offer extensive experience at shortstop, third base and in the outfield. The former Scarlet Knight enjoyed a breakout freshman campaign at Rutgers in 2010. Nyisztor hit .410 that year with four home runs, 51 RBI, 11 stolen bases and a .450 on-base percentage over 56 games. He was named a Louisville Slugger Freshman All-American and Second Team All-Big East at the end of the season. College Baseball Daily later listed him as the No. 55 best player in the country entering his sophomore year, before he missed the majority of the season due to injury. Nyisztor had a memorable high school career at Toms River North High School. He won back-to-back state titles in his junior and senior seasons (2008, 2009) and was named a 2009 Rawlings third-team All-American. The Atlantic League has been a leader in professional baseball and a gateway to Major League Baseball since 1998. Over 40 million fans have attended Atlantic League games and more than 900 players and 70 managers and coaches have joined MLB organizations directly from the ALPB. The Atlantic League emphasizes winning baseball games, showcasing the talent of top-caliber players and offering affordable family entertainment.